A young deer having a walk in the city on a sunny day. 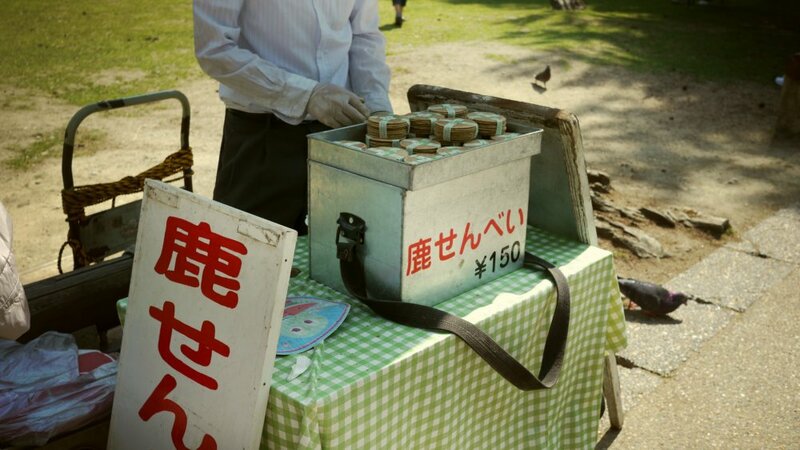 You will find these little deer-crackers (Shika-senbei) all over Nara to feed the deers. 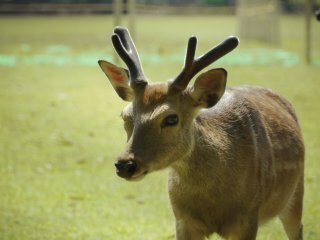 They cost around 150¥ and deers LOVE them! 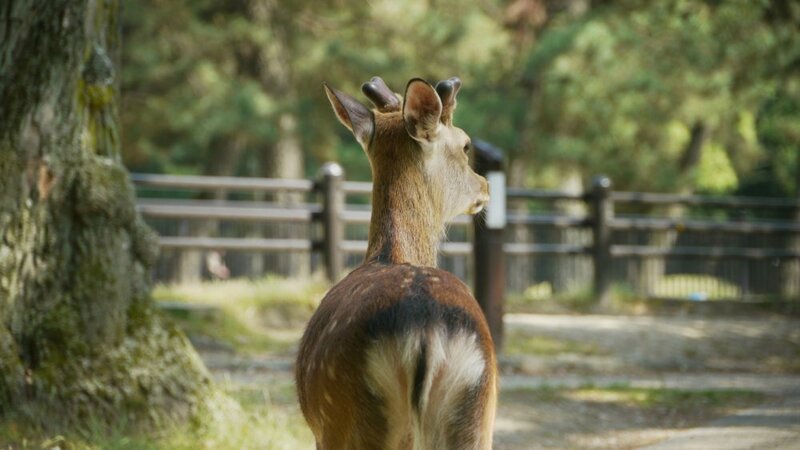 Deer are everywhere around Nara Park, they are not afraid of people and it's very common to see them walk by you. Some deer are really friendly and would let you pet them. Sometimes the deer can be very pushy, especially if you showed them that you have food with you! 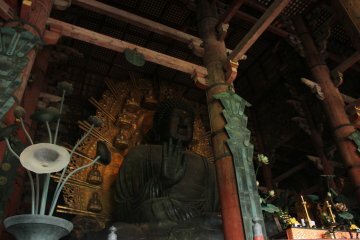 Nara Park has some beautiful, mysterious alleys and the golden light turns them into soft watercolor paintings. Deer can be spotted all over the park and their colors blend beautifully with its warm tones. Enjoying a walk in the quiet park. Deer relaxing in the park. Schoolgirls enjoy coming back home through Nara park. Enjoying a great meal in the sun. The park has beautiful features such as these ancient lanterns on many alleys. Impressive roots of the oldest trees. A cute deer in a busy alley. A deer having a refreshing drink in a water stream. 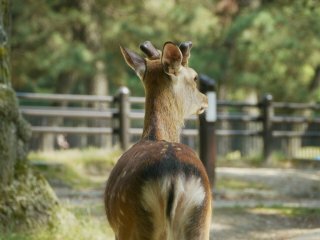 Nara park is a famous local attraction, known for its gorgeous nature. Considered a national treasure, this public park is delightful to visit in spring or summer as the sun lights up the soft, golden tones of its gardens. 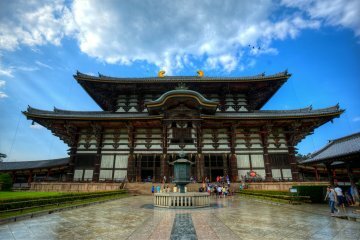 The park is located near many interesting attractions such as the Nara Museum and leads to the most important shrines and temples of the area, such as Todaiji. 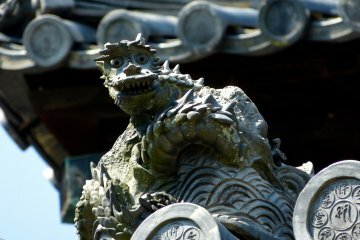 It's the perfect place to visit when you want to get a feeling of traditional Japanese nature and still get to visit places of the highest historic importance. 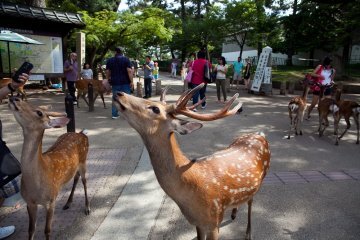 But the most entertaining feature of Nara park is, of course, the thousands of deer walking freely around the area! Stubborn yet friendly, these deer are accustomed to human presence and walk through the city with a disturbing confidence. 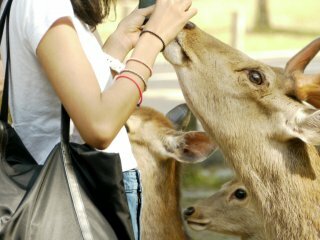 They live their deer life without paying attention to you... unless you hold food. Once they have spotted a potential meal, they'll do everything they can to get your attention, and they can sometimes be a little pushy. 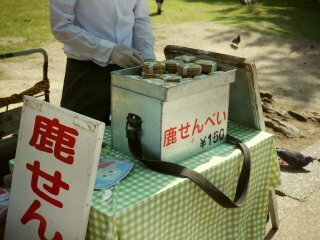 If you want to feed them, you will find little stalls around the park selling deer-crackers (shika-senbei) which they love. 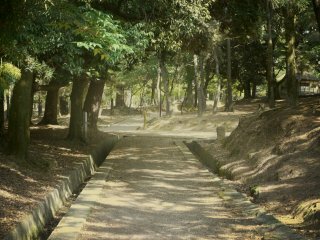 A walk in Nara park is guaranteed excitement for anyone! 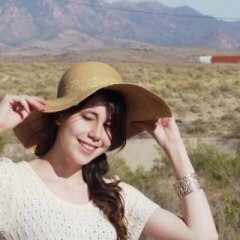 French adventurer from Paris, I enjoy travelling the world and discovering the unique scents and tastes of each country.